SPRINGFIELD – In another thumb in the eye of former Gov. Bruce Rauner, Gov. 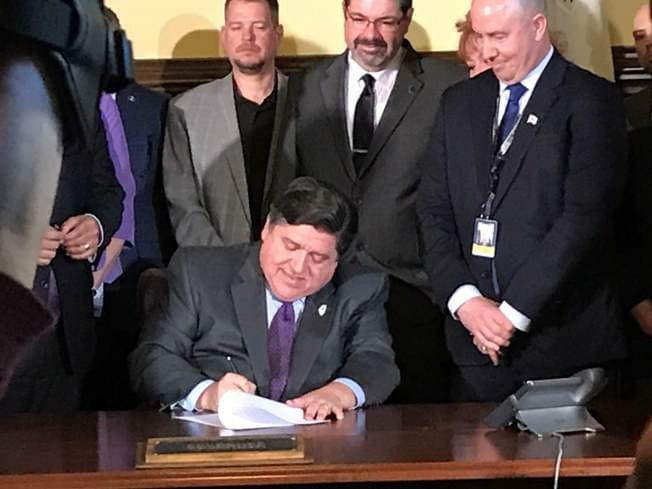 JB Pritzker Friday signed a bill outlawing local right-to-work zones. One of Rauner’s key goals was trying to enable cities and counties to declare themselves “right-to-work” zones in the name of attracting business and saving taxpayers money. It only worked in Lincolnshire, a wealthy suburb of Chicago, and the courts threw its law out.